The Los Angeles Chargers have yet to begin training camp, and they are already dealing with a potentially season-ending injury. Over the past two years, no team has been bitten by the injury bug more than the Chargers. We’ve seen ailments hit a bevy of stars including Jason Verrett, Keenan Allen, Danny Woodhead, Melvin Gordon, Corey Liuget and others. 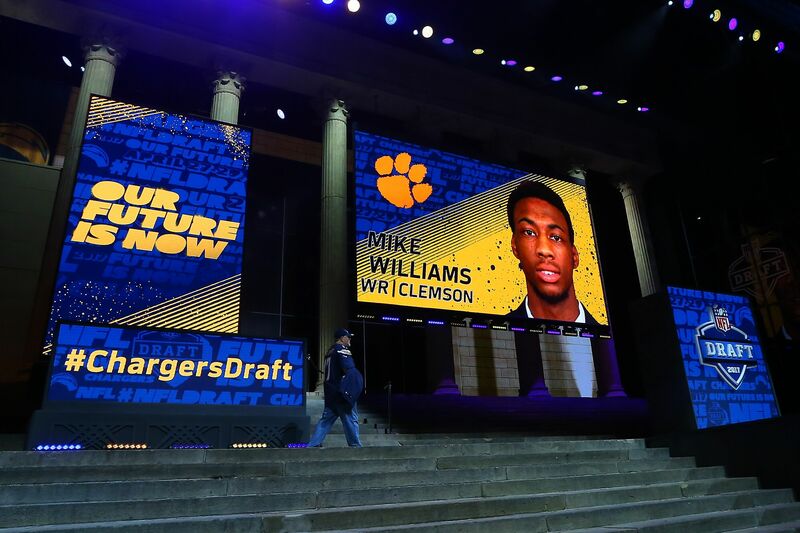 Now, it appears rookie first-round pick Mike Williams is dealing with it. Williams, the seventh-overall pick in the 2017 NFL Draft, could miss the entire season with a herniated disc, this according to ESPN’s Adam Schefter. Williams was a star for the Clemson Tigers during their championship run last year, hauling in 98 passes for 1.361 yards and 11 touchdowns. However, Williams missed all but one game of the 2015 season due to a broken neck. Even if the second epidural shot works well for Williams, it would be surprising to see him do a ton in training camp. Back injuries are notorious for being re-aggravated, and Williams has been on the shelf since May. The best-case scenario for both Williams and the Chargers might be to get him on the field by their season-opener on Sept. 11 against the Denver Broncos. Another scenario includes Williams going on the Physically Unable to Perform list to start the season, meaning he has to miss at least the first six games of the regular season. if Williams can’t go for any length of time, look for Keenan Allen and Tyrell Williams to get the starting nods. Allen is a brilliant talent but he has been hurt over the past two seasons, including a lacerated kidney and a torn ACL. Williams stepped up in his absence last year, catching 69 passes for 1,059 yards and seven scores. Any way you look at it, losing Williams would be a huge blow to a team well-versed in injuries wrecking well-laid plans.